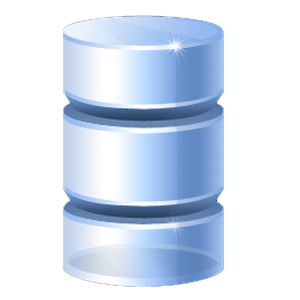 Our passion is the development of databases and database management systems. Information technology, the word says it, is information management. That's why we claim: Information technology is data management. The informatization of each aspect of our existence and activities will imply the obvious needing of a reliable, fast and secure management of the vast amount of the implied data. The administration and the control of this data will surely create not only a huge market but also a tremendous power. To invest now in this kind of technologies will have incalculable implications. Culture is information and our civilization grows while our ability of create and manage informations grows. Esse est percipi, argued Berkeley, and we add: informatio percipere. The information that a subject has of an object is never a simple result of an investigation of the subject itself towards the object. The entities from which we obtain informations are always active entities. We can reach some kind of knowledge of a certain being because that being has a conformation, a status, a dynamic. So database in not only a "passive archive" able to answer when questioned with hard formulas. Certainly is not only a tabulation (advantaged or not) of data and the database admistrator is not a sort of modern sad archivist. A database is the persistence of dynamic logical entities, just like the material world: the persistence of dynamic physical entities. A logical entity, because of its nature of res cogitata (not res cogitans), exits only because a conscious being conceives it. All the pixels shaping these words on your monitor and the computer itself are merely electrical events in a physical configuration of silicon, plastics and glass since you don't take from that configuration this information. A database is your interaction with all the logical entities you need.